December was a month to reflect back on 2010 so there really wasn’t a ton of new releases to share here. There were, however, piles of year end mixes covering nearly every genre that came into existence in 2010. So that’s where we start this month’s collection, with a super chill mix from Korallreven, a party mix from GOBBLE GOBBLE’s Infinitour and even a couple that bring back some 90s R&B – perhaps a glimpse of whats in store for 2011? Hope you can look back on the year and smile. If you need new music daily rather than monthly, follow me on twitter @thinkorsmile. I typically post links there as they are discovered. Or you can follow my twitter list of music bloggers who are doing the dirty work of digging these artists up. Happy exploring. We Get By – Years End Vol. II – Last month I made mention that I was passing on my own “best of list,” opting instead to take part in a project celebrating this past year in music with many other bloggers and artists. Well here it is. 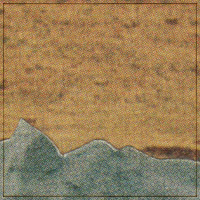 It includes a 12 track mixtape of favorite (downloadable) songs of the year as well as top 15 releases of the year as selected by No Modest Bear, Stadiums And Shrines, Head Underwater, Michael Of Holy Spirits, Dead As Digital, myself, Smoke Don’t Smoke, Ears Of The Beholder, No Fear Of Pop, Rollo & Grady, Weed and Ghost Animal. Click the image above (or here) to read more on the project. Another Dream by Korallreven – another beautiful mixtape from Sweden’s Korallreven, featuring Julianna Barwick, Cocteau Twins, Gucci Mane, The Radio Dept., Zomby, SALEM, Memoryhouse, and more. love this. Clive Tanaka – Altered Zones Mix (for the Snow Ghost) – music designed to attract Yuki Onna, the Snow Ghost, keep her entertained, and then lull her to sleep. feat. Gold Panda, Tokimonsta, D’EON. flwrpt 2011 mix – 90s R&B with a touch of hip-hop. smoooothhhh. jj’s kills mixtape – jj weaving in and out of Dre, Biggie, M.I.A., Jay-Z, Yeezy. Mark McGuire – Altered Zones Mix (of R&B) – hot and scandalous ’80s-’90s Top 40 R&B. BOREAL: A Mix From EOTB – nice year end recap of the years blog tunes. Monster Rally, Levek, Kohwi, Candy Claws. Autre Ne Veut – Altered Zones Mix (of blog music) – hits of the year seamlessly woven together. Earl Sweatshirt, Wise Blood, Zambri, James Blake etc. head-noding, smooth & bizarre all in one. Space Mountain Mix Volume Six – journey through/around the earth. Stevie Nicks, The Talking Heads, Cocteau Twins + tons of stuff I’ve never heard of but love. WE ARE STAR STUFF: An Andrea Inspired Mixtape – La Femme, C.O.C.O., Pandit, The Microphones all make for a nice smooth ride. GOBBLE GOBBLE – Infinitour 2010 Mixtape Vol 2 – New Orleans Bounce to Grime Punk to Ambient Surf. all here. all good. Gerd Jansons’ Baklava Metal Depression Mix – good warm up for a Friday evening. AMDISCS hartzinemix – 29 seamlessly stitched together tracks from czech label AMDISCS’s artists and friends. journey to the otherworld. M.I.A.’s ViCKi LEEKX mixtape – 36 minutes of M.I.A. style beats with a diplo influence. leaked for your NYE party. The Fruhstucks – Even If You Lose Yourself EP – slightly dark synth pop. 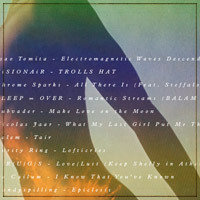 The 405 ‘Ones To Watch’ for 2011 – Cults, Lord Huron, Seams are all part of a nice 18 track comp. Foxes in Fiction – Alberto EP – warm, at times ambient, bedroom folk. Ra Cailum - Walkabout – ambient-leaning synthpop. seabright - dark city ep – less digital, more organic lo-fi psych. HAPPY TRENDY – Skinny Ghost 7″ – warm airy pop. Mean Lady - Kid Friendly E​.​P. – catchy chill pop tunes. Monster Rally - Moonglow Digital Single – short but sweet exotic psych pop. Teen Daze – Beach Dreams – look back on your past summer, and let these songs remind you of some of the good experiences you had. DIMLITE - For Medals – laid back vocal demos of Elan Tamara & Dimitri Grimm. lizard kisses – Sleeping In – lo-fi cabin tunes. Hear Hums – Psyche Cycles – journey through your psyche, of ambient tones and crash symbols. 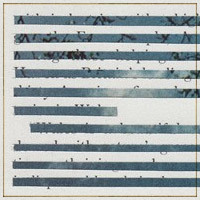 ISO50 HOLIDAY COVERS EP – Foxes in Fiction, Weed, Sun Hammer, The Depot and an amazing Beautiful Bells track. Fancy Mike - Madison Square Gardner – lo-fi instrumental beat music. YahnLOOKEPickard – Bread Heels n’ Grease – experimental beats. a la adult swim bumps. technically free but show some love for the artists work. Das Racist - Shut up, Dude – hip-hop all over the board, 8 bit, taco bell, all over. i’m way late on this one too. Das Racist - Sit Down, Man – mc over productions of jay-z, devo, teengirl fantasy. Earl Sweatshirt – EARL – RAW hip-hop from 16 yr old Earl of the Odd Future crew. If you’re feeling any of these artists show ‘em some love and go see them live. Looking forward to another year of amazing music!